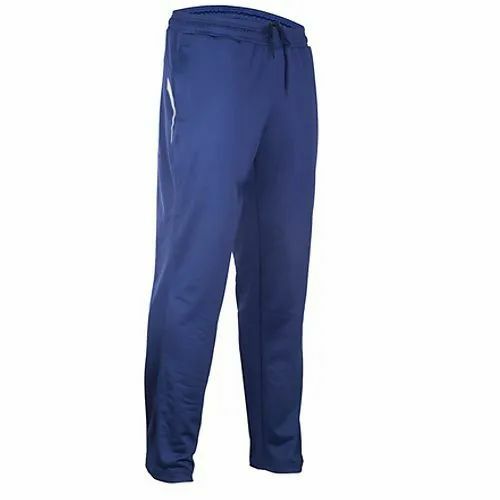 We are manufacturer and exporters of Men's Track Pant that is available in numerous designs, sizes, and colors to make them perfect sportswear and nightwear. Our offered track pant is designed and stitched making use of optimum quality fabric and sophisticated machinery following the latest fashion trends. We also manufacture as per customer requirement and drawing. Incorporated in the year 2015,Madhavan Fashions Pvt Ltd. is notable company is affianced in manufacturing, exporting, wholesaling and supplying a stylish spectrum of Men & Women T-shirts, Men & Women Corporate Uniforms, Hospital Uniforms, School Uniforms, Industrial Uniforms, Security Uniforms, Hotel Uniforms, Men & Women Sports Wear and Industrial Coveralls. These high-class products surely become the preferred clothing owing to their comfortable fitting, mesmerizing design, smooth finish, excellent color combinations and perfect texture. Provided products are made-up in accordance with industry set guidelines by using superior-quality fabric that we acquired from the most trustworthy and authentic vendors of the market and advance technology. In line with patrons’ numerous choices, we provide these products in plenty of patterns, sizes, prints, designs and other such stipulations to select from.